This best selling series continues as the SuperJumbo A-380 is captured in Europe, Asia, and the first ever landing in Africa! 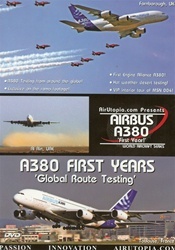 Includes A380 test footage from Beijing to Johannesburg...Hong Kong to Vancouver and Toulouse plus much more! 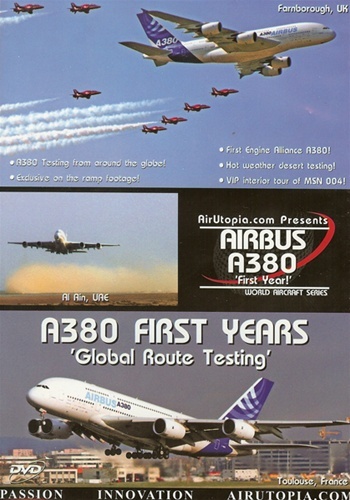 Follow AirUtopia around the globe as we follow this historic program for another year including the first A-380 fitted with Engine Alliance engines!